I've recently written of Venice so if you've never been (or merely lack the passion for all things Venetian) I apologize. It's just that I love the city so much. It's been in the news of late thanks to the latest round of Acqua Alta (that's "flooding" for the rest of us). Carnival revelers walk on elevated sidewalks or merely trudge through the water-filled piazzas. It is heartbreaking and breathtaking simultaneously to see this city once again under unusually high waters. While I'm not a fan of Carnival or masquerade balls in general (I blame Tom Cruise for that), I do love the idea of a city steeped in tradition. I find the the event a bit too "dark" for my taste, but... the art student in me loves the fanciful costumes and the idea of the masses so committed to the spectacle of charade. Millions flock to Venice despite rising waters to partake in this annual event. Tradition is a beautiful thing, and though modern day Carnival is surely the furthest thing from its historic origins, I love to see that the art form live on today. 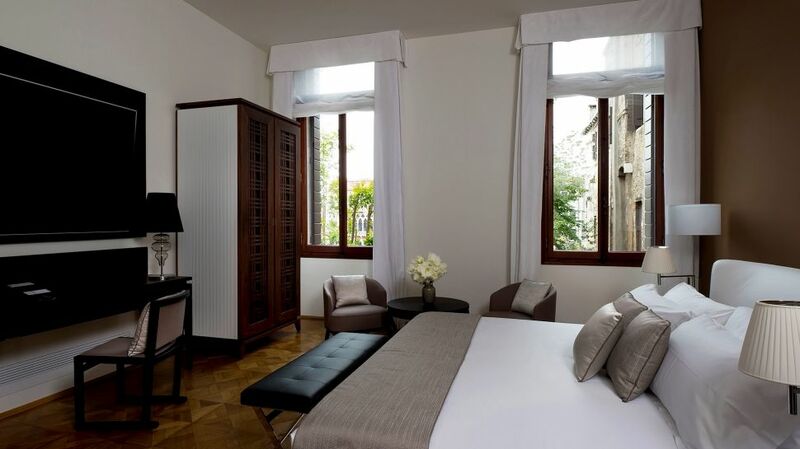 Also excelling at old meets new: the Aman Canal Grande Venice. Regal and dripping in old world luxury, this historic hotel is anything but outdated. Modern amenities abound in each suite. No detail has been overlooked. 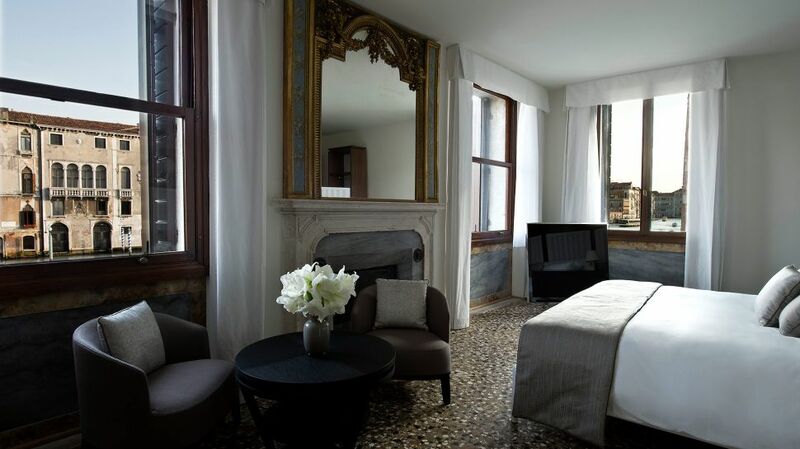 But looking around, lassic Venetian details abound - including a glorious salon boasting floor to ceiling original frescoes. 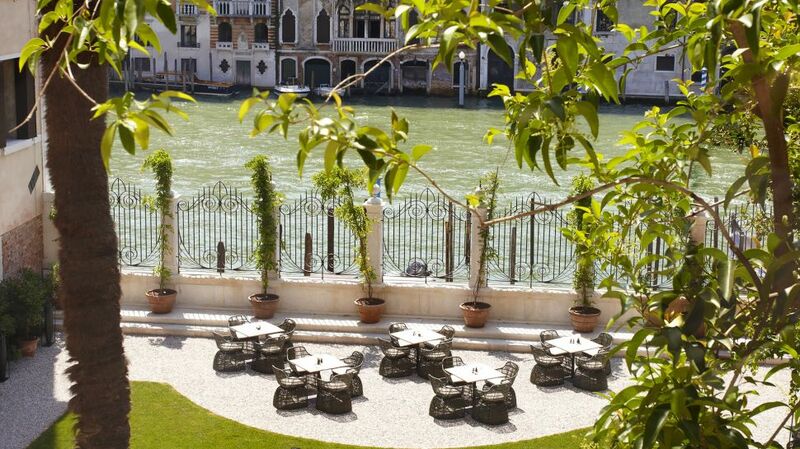 This luxe property is not to be missed (and frankly, you can't miss it when you're on the Grand Canal). I particularly love the juxtaposition of sleek marble slab en suite baths with sweeping views of the paint-chipped colorful villas across the canal. 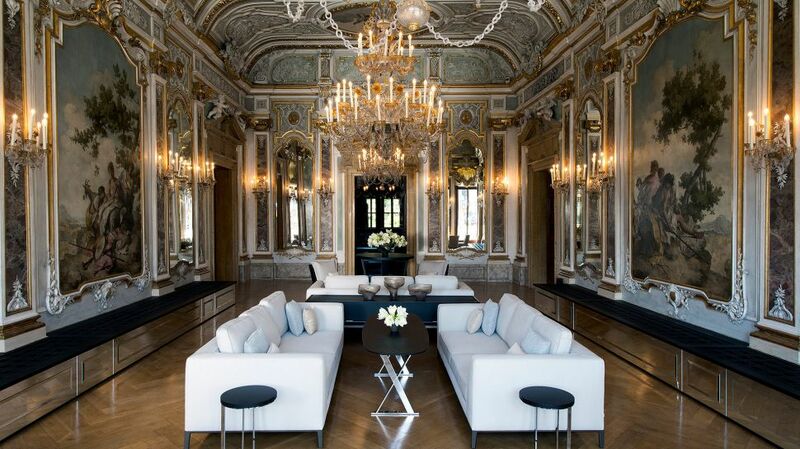 Modern furnishings meet aging Venice. It's beautiful. Or dine in the elaborate dining room with classic age-tinged brocade wallpaper and minimal Mid-Century influenced furniture. Contrast is a rich and interesting thing. 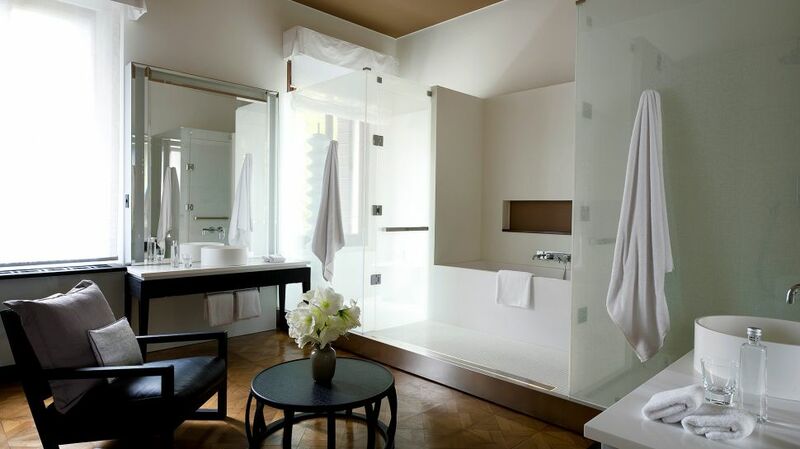 The entire 24-suite property is a study in melding timeless classics and modern advancements. Enjoy a vacation of the mind by gasping at the gallery of images. And promise yourself that one day you'll make your way to Venice. It truly is unlike any other city.